Milk Not Jails is now open for business! Two dairy farms have officially signed on to support the Milk Not Jails Political Platform, and it is now our job to show them how much New York’s consumers care about criminal justice reform! We need you and your organization’s support now! We are currently selling Milk Not Jails dairy products in two ways. Get more information about both below and help us find a way to content to your organization or other groups in your community. We are more than happy to come make a presentation to your group. The first way to buy is with a club. We are setting-up Milk Not Jails Buying Clubs throughout New York City. A buying club is a group of people who make a regular purchase from Milk Not Jails farms. This demonstrates to the farmers that we have the commitment and organizing power to support them while they advocate for our criminal justice demands. If you work at a criminal justice organization, attend a college in New York City, are a member of a congregation, etc. help us organize a buying club today! Buying clubs purchase weekly subscriptions of milk, half & half, yogurt, and/or butter at a discount by making a commitment to receive at least 20 deliveries in 2012. Buying clubs can also make special monthly orders of cheese, ice cream, milk, half & half, yogurt, butter, and more. These orders are delivered directly to the buying club’s location. Our staff has years of experience working with buying clubs and Community Supported Agriculture (CSA) projects, and we have developed a simple, online ordering system to make purchases easy. 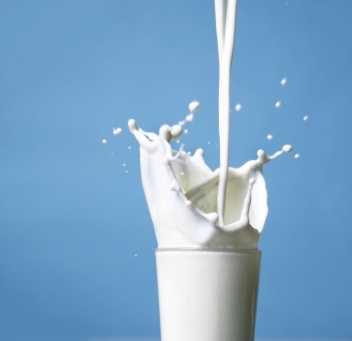 Second, Milk Not Jails is working to sell dairy products to neighborhood institutions that serve daily or weekly group meals, such as supportive and transitional housing facilities. Do you have a loved one living in transitional housing? Do you know of a Senior Center that offers daily meals? Is there an independent coffee shop that you frequent? We want to sell Milk Not Jails products to these local businesses and organizations. Please contact us immediately if you have any suggestions. Personal contacts always help open doors, so if you know of anyone working at a supportive housing agency or café for us to reach directly please let us know! Contact MILK NOT JAILS with any questions or if you’d like us to make a presentation at your organization’s next meeting or event. Contact us anytime at milknotjails@gmail.com or (917) 719-MILK (6455). Interested in helping us get word out? Join us for a Milk Not Jails outreach training on Friday, April 20 from 2:30-4:30pm. There you’ll get all the facts and materials to become a Milk Not Jails ambassador in your neighborhood! RSVP at milknotjails@gmail.com. The training will take place at 666 Broadway (at Bond Street) in Manhattan.